There are many ways to learn a new language. One is sifting through a wine catalogue . A German rosé sent me and my daughters into a fit of giggles as we tried for 20 minutes different pronunciations of Winzergenossenschaft Königschaffhausen Pinot Noir Rosé from Baden, Königschaffhauser Vulkanfelsen. Sorry Germany – your language makes me laugh. 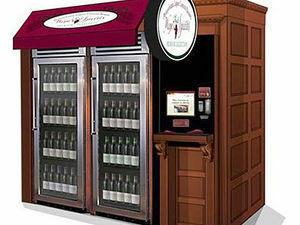 Seriously – a vending machine that dispenses wine bottles. All you do is blow into a machine (to prove sobriety), swipe the credit card (to prove you have money), and then hopefully a bottle of wine drops out (to prove how crazy the whole thing is). Pennsylvania – “America Starts Here” – is using wine vending machines on a trial basis. The government who won’t let you buy wine in a grocery store sells wine like it was a bag of Skittles! In a report issued last week, Pennsylvania Auditor General Jack Wagner says the state liquor control board’s wine vending machines are operating at a loss, costing taxpayers more than $1 million since they were introduced a year ago. I’m no business major, but shouldn’t you make money when you have a monopoly on something? Wolf Blass makes a good sparkling wine – his Gold Label Pinot Noir Chardonnay is available in Vintages stores for a limited time. Also, apparently that is his real name. You don’t get a lot of children on this continent being named “little Wolfie” these days. Which makes me think – what are the chances that Wolf Blitzer is the CNN anchor’s real name. “Hey look at me – I’m a reporter in the Gulf War and my name just happens to be Wolf Blitzer”. Does he think I’m stupid or something? In the time it took you to read this I went online and changed my legal name to Shiraz Bordeaux. Merci. I learned two things today. First thing – if you live near a University don’t go to the wine store on a Thursday night. Thing two – if you are in a wine store don’t listen to college kids recommending wine to their friends. They are not the discerning demographic group. I should have known that from the kid purchasing a bottle of vodka and a 6 pack of Miller Light cans – but that’s not even what tipped me off. It was a conversation that I overheard in the aisle next to me. “Girls’ Night Out is a great Rosé” was the comment that almost made me drop my imported British beer. I really think we need to change our entire Education system. 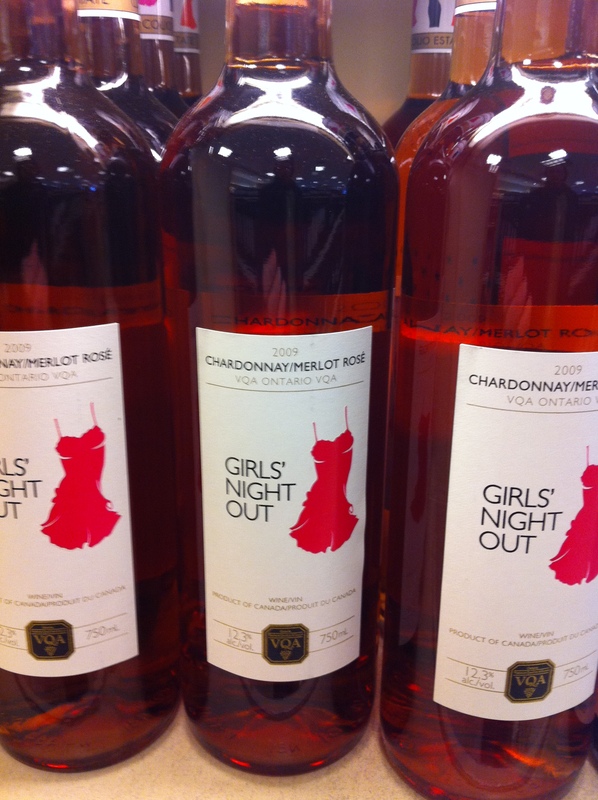 Girls’ Night Out is NOT a great rosé – neither is the Girls’ Night Out Sangria in a 1.5 mL bottle. Girls’ Night Out may be tasty, it may be a great value, it may even be cute – but we do need to educate our youth in the ways of wine. Muga and Gran Fuedo are great Rosé wines – as is practically anything from Provence – but a wine with a pink sundress on the label is not an indication of a great wine. Sorry girls – but I hope you did have a nice girls’ night out .